[PDF] Cupcakes, Pinterest, and Ladyporn: Feminized Popular Culture in the Early Twenty-First Century (Feminist Media Studies) | Free eBooks Download - EBOOKEE! Description: Media expansion into the digital realm and the continuing segregation of users into niches has led to a proliferation of cultural products targeted to and consumed by women. Though often dismissed as frivolous or excessively emotional, feminized culture in reality offers compelling insights into the American experience of the early twenty-first century. Elana Levine brings together writings from feminist critics that chart the current terrain of feminized pop cultural production. Analyzing everything from Fifty Shades of Grey to Pinterest to pregnancy apps, contributors examine the economic, technological, representational, and experiential dimensions of products and phenomena that speak to, and about, the feminine. As these essays show, the imperative of productivity currently permeating feminized pop culture has created a generation of texts that speak as much to women's roles as public and private workers as to an impulse for fantasy or escape. 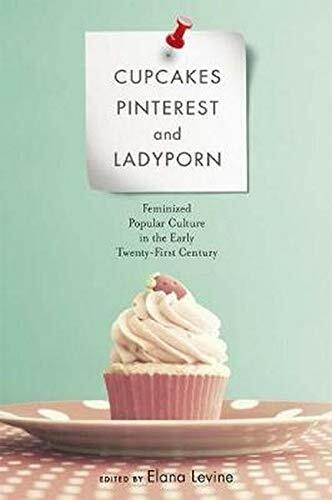 Incisive and compelling, Cupcakes, Pinterest, and Ladyporn sheds new light on contemporary women's engagement with an array of media forms in the context of postfeminist culture and neoliberalism. No comments for "[PDF] Cupcakes, Pinterest, and Ladyporn: Feminized Popular Culture in the Early Twenty-First Century (Feminist Media Studies)".